This is just for single family homes in Delaware County. There are currently 1313 single family homes for sale in Delaware County in the MLS. Most Expensive Home: 100 Pembroke Ave. Wayne, Pa 19087 is for sale for $7,650,000. This is such a unique estate located on almost 2 acres and the interior is 11,500 SF. It is a Tudor mansion but has been updated with classic moulding and materials. I love the ceilings. It looks like an investment group bought it in 2014 for cash for $2 million when it was an estate sale. They did a beautiful job remodeling the home. Least Expensive Home: 2207 Concord Rd. Chester, Pa 19013 is for sale for $20,000. It is a 3 bedroom & 1 full bath home with 2171 SF & on 0.35 acres. It is being sold as is and says it needs TLC. There’s not much information and only 2 pictures. The average list price of all 1313 single family homes is $458,484 and the average days on the market is 145. The total value of all 1313 homes currently for sale in Delaware county is $600 Million! This is just for single family homes in Chester County. 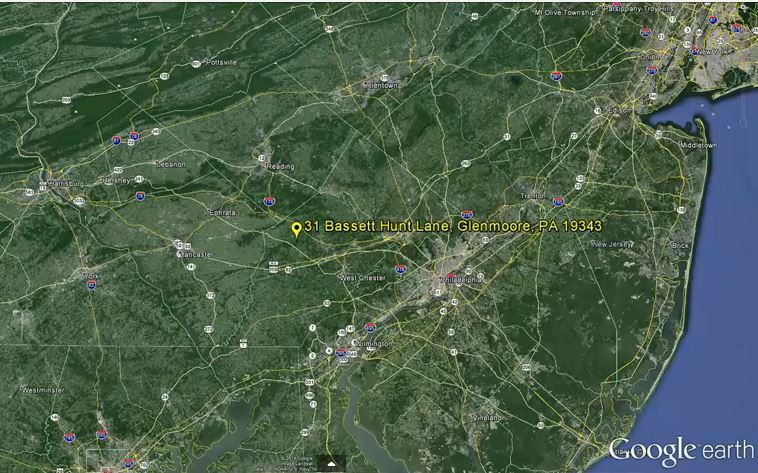 There are currently 1731 single family homes for sale in Chester County in the MLS. Most Expensive Home: 912 Providence Rd. 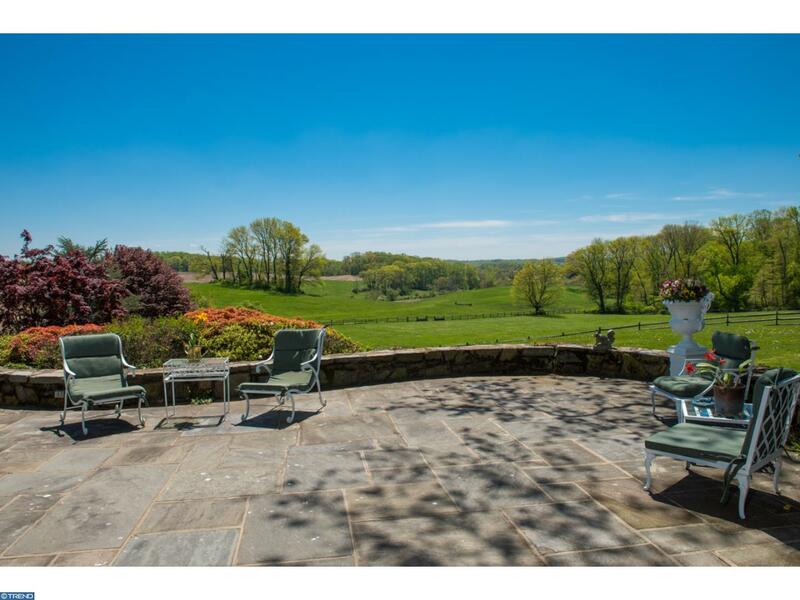 Newtown Square, Pa 19073 is being offered for $10,995,000. It is located on 72 acres and is a 86 year old stone farmhouse and almost 15,000 interior square feet. 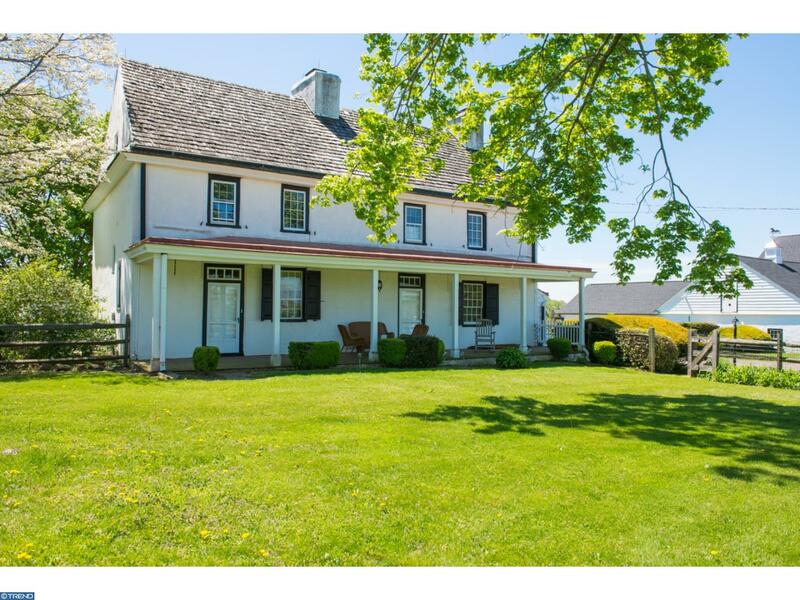 This is called Heartwood Farm and includes the original farmhouse & a historic second home built in 1780. 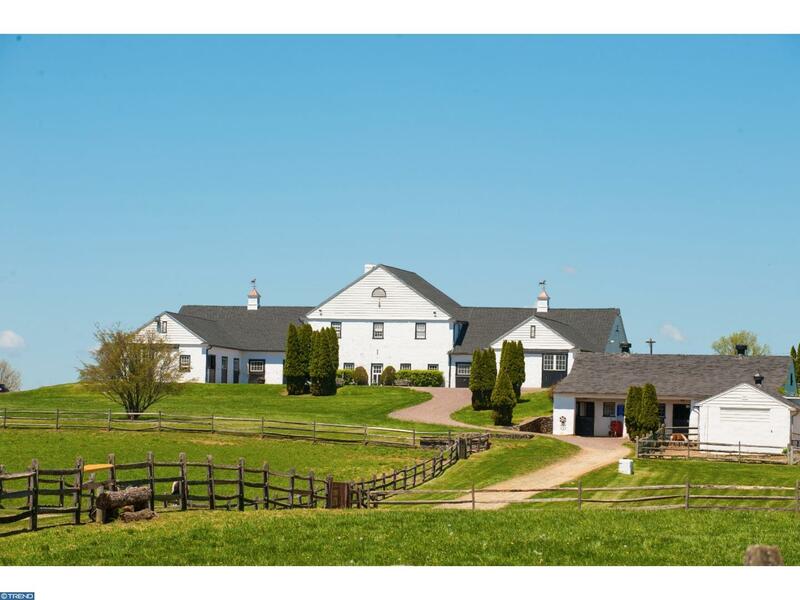 The farm includes 2 barns with 24 total stalls, office, an apartment, fenced lighted riding ring and a 5 car garage. Least Expensive Home: 741 Broad St. Oxford, Pa 19363 is for sale for $30,000. It is a Fannie Mae/government foreclosure and you need to sign a disclosure that you’ve been told there maybe mold in the home before entering. It is a small rancher located in Oxford Boro. The average list price of all 1732 single family homes is $652,535 and the average days on the market is 129. The total value of all 1732 homes is $1.1 Billion! Most Expensive Home: 253 Berwind Rd. 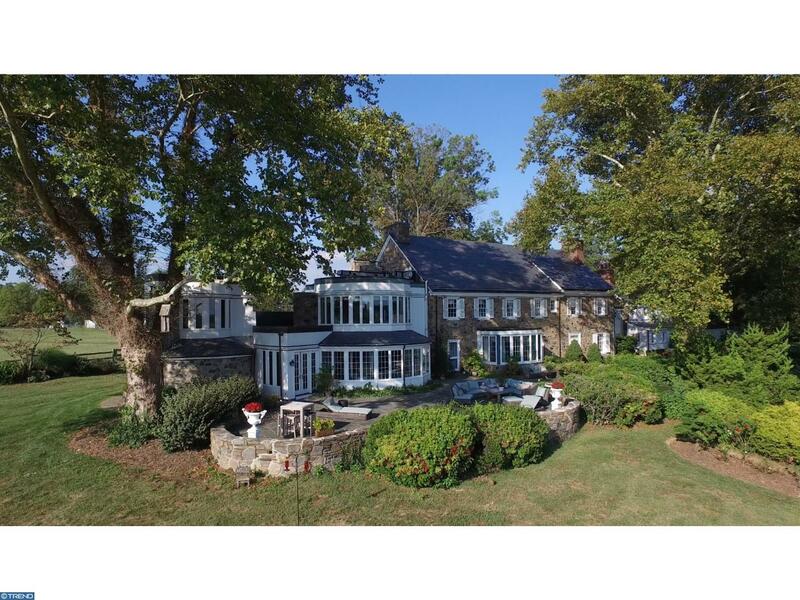 Radnor, PA 19087 sold for $1,700,000 for cash on Oct 24th. The home is only 9 years old and has 6169 SF on an acre. It has a gorgeous pool with a pool house, 6 car garage and whole house generator. The gourmet kitchen is the center of the modern, open floor plan and has 5 bedrooms and 6 bathrooms. Least Expensive Home: 34 E 23rd St, Chester, PA 19013 sold for $7,000 for cash on Oct 13th. The home had a fire and a lot was destroyed. It is a twin on .06 acres and the taxes are only $900 a year. It is 2024 SF and that means it sold for $3.46/SF – Crazy! In all of Delaware County in the month of October 488 homes in total settled through real estate agents. The average sold price was $255,892. The average days on the market was 72 days. 282 were single family homes. 188 were twins or townhomes. 18 were condos. None were mobile homes. 32 were foreclosures (6.5% is very high). 11 were short sales. 6 were in 55 and over communities. 17 were new construction. 56 has pools (that includes if there is a community or above ground pool). Most Expensive Home: 3080 Paper Mill Rd, Huntingdon Valley, Pa 19006 sold for $2,600,000 for cash on Oct 26th. It is only 7 years old and the square footage is listed as 13,923 SF. It has 5 acres and also backs up to an 800 acre preserve. Some features of the home include french limestone flooring, gourmet kitchen, massage room, wine tasting room & complete fitness center. It has 7 zones for heating and cooling – WOW! Least Expensive Home: 3 W Adair Dr, Norristown, PA 19403 sold for $20,500 for cash on Oct 31st. It is a mobile home that is 27 years old with yearly taxes of only $258 and a monthly lot rent of $470-there’s not much information on what is included in that fee. It is 784 SF and has 2 bedrooms and 1 bath. In all of Montgomery County in the month of October 840 homes in total settled through real estate agents. The average sold price was $329,387. The average days on the market was 63 days. 526 were single family homes. 256 were twins or townhomes. 49 were condos. 10 were mobile homes. 32 were foreclosures (that seems high at 3.8%). 11 were short sales. 39 were in 55 and over communities. 64 were new construction. 165 has pools (that includes if there is a community or above ground pool). The most expensive home and the least expensive home that sold in Chester County in October were both bought with cash. The most expensive was $3 Million and the least expensive was $9,000. Let’s take a look at the 2 homes. Most Expensive: According to our MLS this was the most expensive home to sell in Chester County in October for $3,000,000. 137 Jaffrey Rd, Malvern, PA 19355 is 109 year old classic stone colonial and has 8.8 acres. Yearly property taxes are $29,725. It had been on the market for sale since June of 2015 and they originally were asking for $3,950,000. 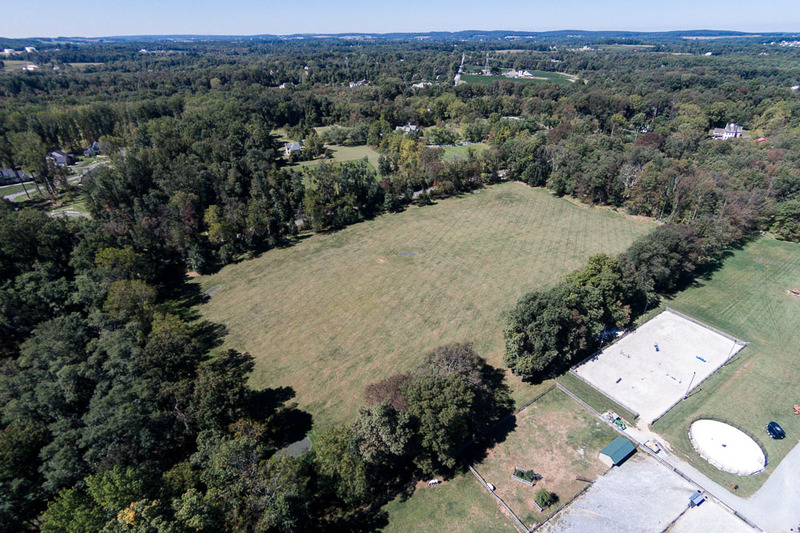 It is located in Willistown township which is known for it’s protected open space. Least Expensive: 23 Pawnee Ln, Honey Brook, PA 19344 sold for $9,000 cash. It is a mobile home that is 30 years old and the monthly fees are $464/mo. and that covers the community pool, trash, water, sewer and trash removal. The yearly property taxes are $509 ($29,216 less than 137 Jaffrey Rd). It was listed for $10,000 on Aug 30, 2016 so it sold pretty quickly. It is located in Honey Brook which is about halfway between Philadelphia and Lancaster with lots of open space and beautiful farms. In all of Chester County in the month of October 567 homes in total settled through real estate agents. The average sold price was $373,213. The average days on the market was 63 days. 377 were single family homes. 167 were twins or townhomes. 17 were condos. 6 were mobile homes. 21 were foreclosures (that seems high at 3.7%). 10 were short sales. 25 were in 55 and over communities. 48 were new construction. 147 has pools (that includes if there is a community or above ground pool). 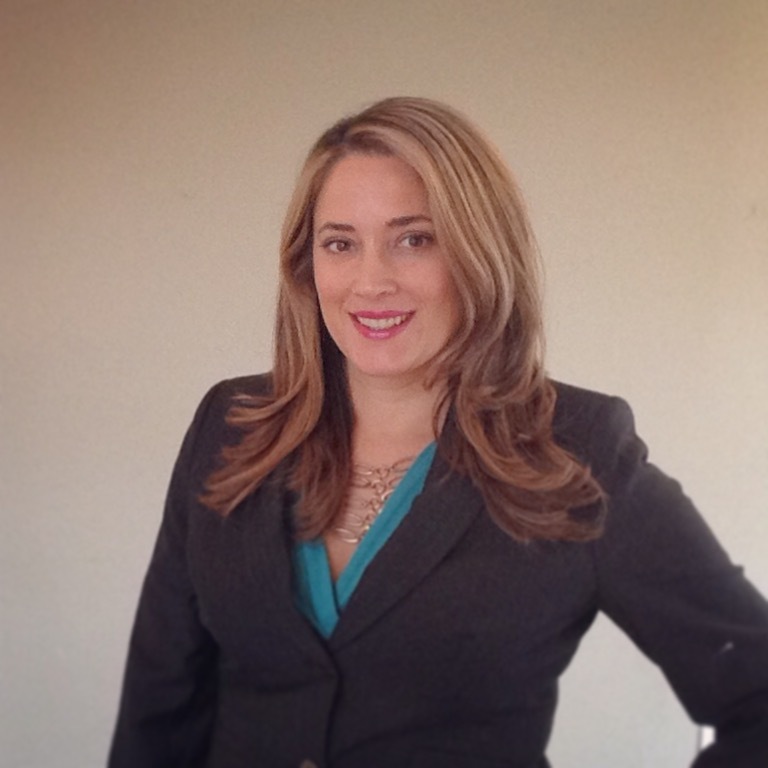 Stay tuned…I’ll analyze other counties in the Philly suburbs in my 30 day Blog Challenge!